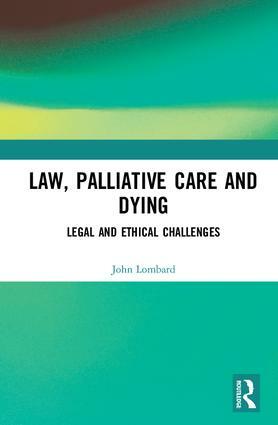 Law, Palliative Care and Dying critically examines the role of the legal framework in shaping the boundaries of palliative care practice. The work underlines the importance of a distinct legal framework for specialist palliative care which can provide clarity for both the healthcare professional and the patient. It examines the legal and ethical justifications for specialist palliative care practices and, in doing so, it questions the legitimacy of the distinction between euthanasia and practices such as palliative sedation. Moreover, this work discusses the influence of a human rights discourse on palliative care and examines the contribution of autonomy, dignity, and the right to palliative care. This book includes detailed comparative research on several European jurisdictions. The jurisdictions illustrate varied approaches to palliative care regulation and promotion. In this manner, the role of professional guidelines and legislation are drawn out and common themes in the regulation of palliative care emerge. John Lombard is a lecturer in the School of Law, University of Limerick. He teaches Medical Law at undergraduate and postgraduate levels.